Kasauli is one of those places which is seldom talked about. 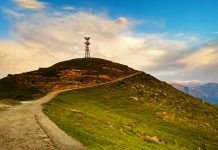 It usually gets ignored because of the nearby touristy places like Shimla. 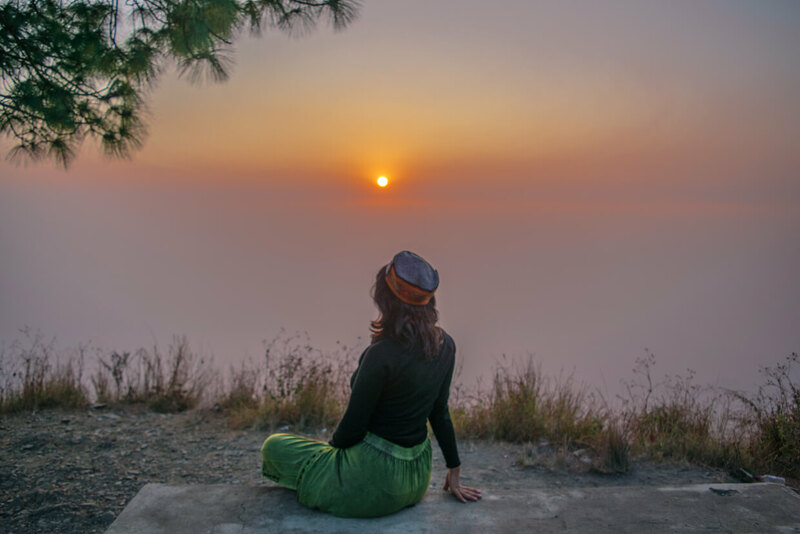 However, if you are trying to find an offbeat place which is remote as well as beautiful, Kasauli would be a perfect weekend destination for you. Below, you will find all the details that you will need to plan a trip to this beautiful place. Delhi to Kalka – The best route to reach here is to choose a combination of a train and a cab. First, you have to reach Kalka and there are two prominent trains that leave early in the morning from Delhi for Kalka. One is Shatabdi and another one is Himalayan Queen. If you are on a budget spree Himalayan Queen would be the most suitable. It is a seater train but still very comfortable. However, in Shatabdi, you can get the luxury of food all the time. They always keep serving snacks, from breakfast to lunch. Kalka to Kasauli – From Kalka, you can either take a bus or a taxi to Kasauli. Now, there are no direct buses to Kasauli from Kalka. You have to take a bus to Dharampur and from Dharampur catch another bus to Kasauli. The buses run frequently so catching a bus here won’t be an issue. However, if you want to reach Kasauli quickly and comfortably then the best option is to take a cab directly to Kasauli that you can find right outside the train station. Toy Train – If sitting in a toy train is in your bucket list then you can reach Kasauli by using this route as well. All you have to do is buy a toy train ticket till Dharampur and then take a bus/cab from Dharampur to Kasauli. As soon as you get down at Kalka station, the toy train is standing right in front of the platform. It takes about 2-3 hours to reach Dharampur from Kalka and several buses run right outside the toy train station towards Kasauli. Once you reach Kalka you will be able to see cascades of mountains at a distance. The drive from Kalka is very scenic as you start climbing up the hill from here. Also, if you plan to reach Kasauli through a toy train, then you will pass through several meadows and greenery right on top of the hill making the journey very scenic. 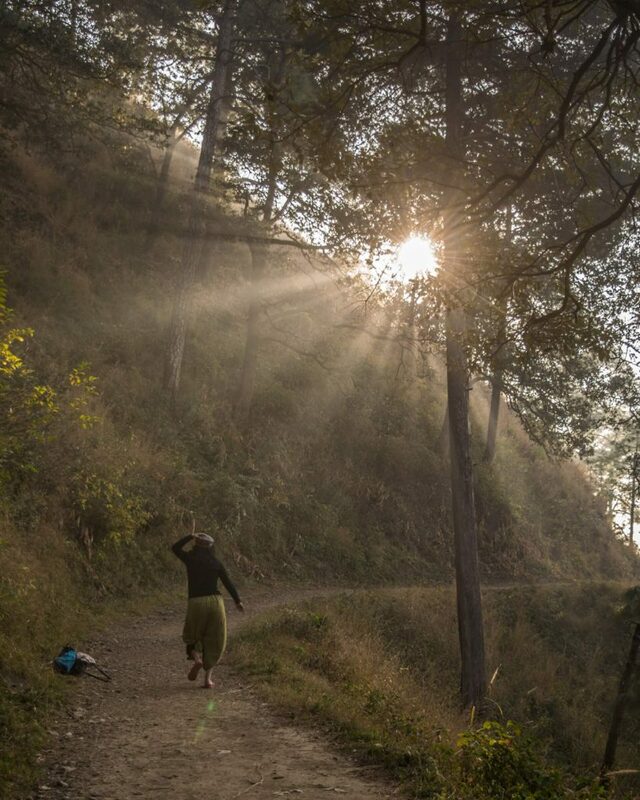 Kasauli is a small town, famous for its peace and quiet. 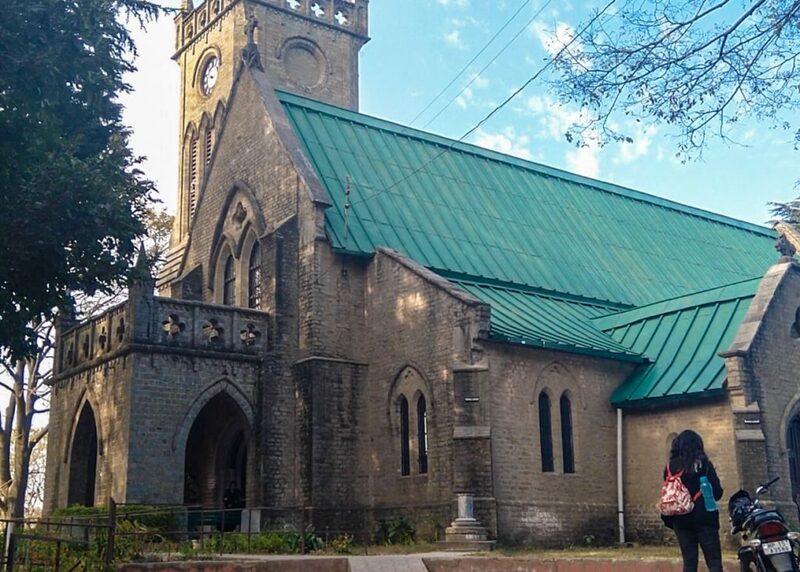 You can either stay in a high budget hotel which is right next to the Kasauli church. 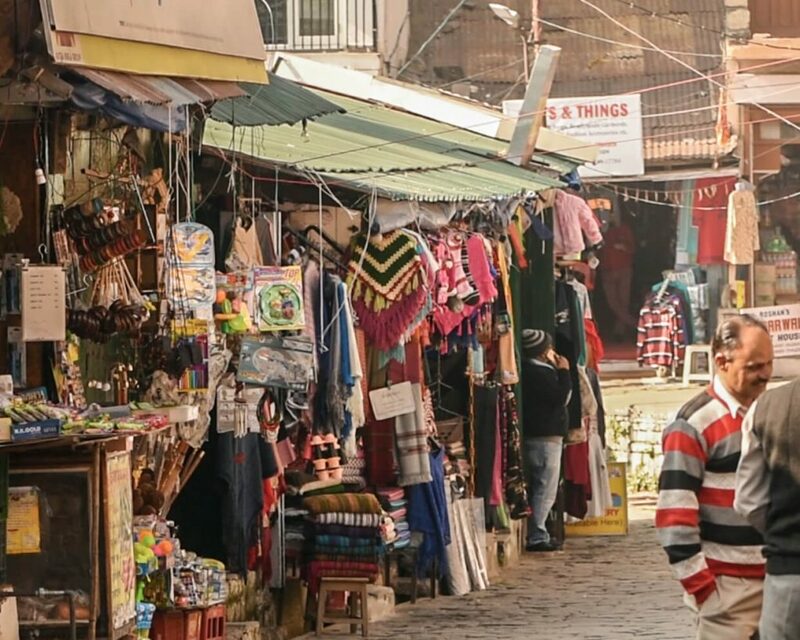 However, if you are low on a budget then you can find small rooms in the Kasauli market itself. Getting accommodation in Kasauli is not an issue. Talking about high budget hotels, Hotel Maurice is my favourite and when it comes to low budget, then you can stay in Gian Hotel. A place whose sunset I can never get over with. I have been to Kasauli twice but the sunset here is so mesmerizing. It sets right in front of you and disappears in the sky itself. The best part of this location is, you can sit on the swings and enjoy watching at the infinity. If you want to, however, go away from the tourists, walk a little further to find this spot. To reach here you have to hike on a rugged road through the side slopes of the forest area. Manki Point is about 3-4 km from the main market, however, it is worth the distance. It is the highest point in Kasauli and a temple is situated on top of the Kasauli hill. From here, you can see the entire Kalka city and Chandigarh. There are also spiritual stories behind this place and here you can find airbase and Hanuman temple. Do note, cell phones and cameras are not allowed at this place. Christ Church is built by the founders of Kasauli themselves and is one of the prominent sites to visit here. It has a Gothic style architecture and is also said to be the oldest church of Himachal Pradesh. The church is located close to the bus stand and mall road. Mall Road is not like the crowded street of Shimla, the vibes here are very peaceful and warm. You can do shopping, watch monkeys swinging and try out cafes. One of my favourite things is to order pakodas and chai and sit by the road in the severe cold. 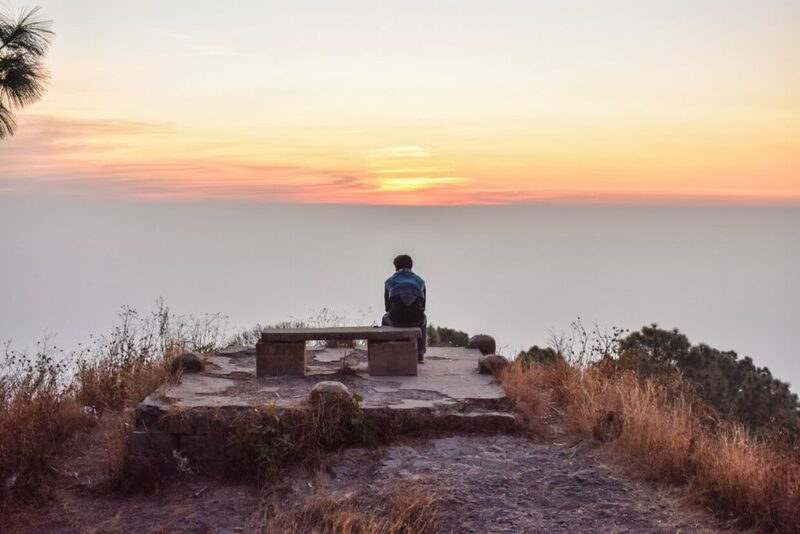 If you are an early morning person do not miss the sunrise from the sunrise point. It rises right behind the mountains giving a very scenic vibe to the entire valley. 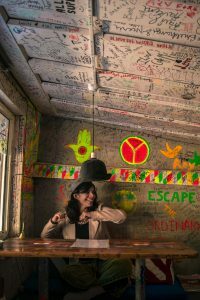 Café Mantra – Café Mantra décor is so pretty; it is surprising that such a colourful café exists in the silent corners of Kasauli. The café is full of music and trippy lights. However, do remember, as a stag you are not allowed to enter here. Street Food – If you want to try some street food, do not miss on pakodas and tea to enjoy the pleasant cold of Kasauli. Also, do not miss out on the bun samosa! It is one of the most sought-after food items to try in Kasauli. 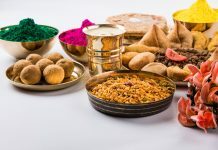 Café Rudra – Just like Café Mantra, Café Rudra is very colourful. Do try Italian food in this quaint café and enjoy the music. Despite visiting this beautiful place amidst the hills thrice already, I still feel like visiting it again. Every time I visit it, it feels like my first. I love the silence here and I love the feeling of being alone away from the hustle-bustle of the cities which is hard to find these days. So if you are considering to visit this place, I would highly recommend you to go.